Not to be outdone by Samsung’s recently announced Galaxy Book, Porsche Design at Mobile World Congress has unveiled an incredibly impressive 2-in-1 of its own. The Porsche Design Book One features a 13.3-inch touchscreen display sporting a resolution of 3,200 x 1,800 that’s mated to Intel’s Core i7-7500U processor, Intel HD Graphics 620, 16GB of RAM and 512GB of PCIe solid-state storage. It also includes two USB Type-C ports, two standard USB 3.0 ports and a USB Type-C port with Thunderbolt 3 although unfortunately, there’s no option for discrete graphics. Other amenities include a precision trackpad, a magnetic holder on the right side of the system for its stylus, a Windows Hello camera and up to 14 hours of battery life when used with the keyboard dock (or around three hours with the tablet only). It runs Windows 10 Pro out of the box. As a 2-in-1, the Book One can be detached from its base and used as a tablet. 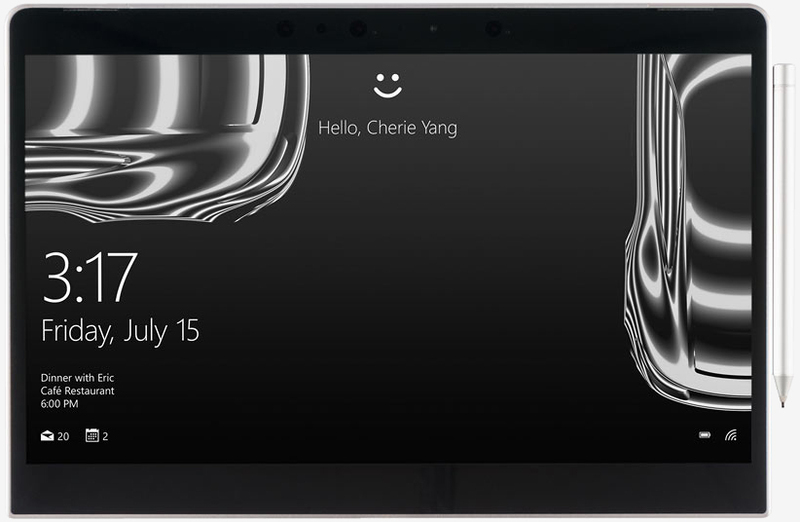 Its unique cog-style hinge also allows the display to be rotated back 360° and used in tablet mode that way a la Lenovo’s Yoga line. The Porsche Design Book One goes on sale in April and will be priced at $2,495. That’s no small chunk of change but then again, this is perhaps the best looking Book-style 2-in-1 we’ve seen to date.